It wasn’t until the other day that I found out what an ABI actually stands for, I realised the letters stood for Acquired Brain Injury, but I wasn’t sure what it actually meant. ABI stands for Acquired Brain Injury; therefore it is acquired – or gained (although I am not sure one would describe getting a brain injury as a gain!). An ABI is a brain injury that occurs AFTER birth. This includes any type of Traumatic Brain Injury (TBI). Acquired brain injury (ABI) is brain damage caused by events after birth, rather than as part of a genetic or congenital disorder such as fetal alcohol syndrome, perinatal illness or perinatal hypoxia. What is important to remember is this, every single person that suffers from an ABI will have a completely different experience to the next person. 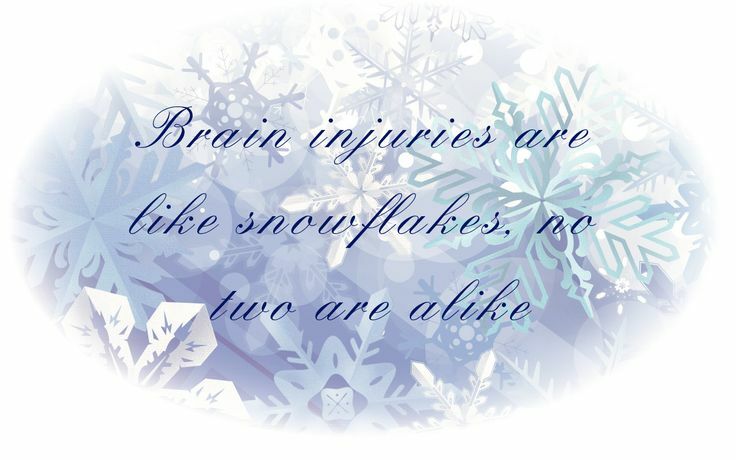 No two brain injuries are the same. So, pretty much, any injury caused to the brain is an ABI, this can be from a stroke to a car accident to a haematoma to encephalitis.